Taste their commitment to artisan roasting and freshness. On the day Alfred Peet opened his first coffee store on the corner of Walnut and Vine Streets in Berkeley, CA, he quietly began a revolution in the way Americans experienced the taste and quality of their coffee – a revolution that persists to this day. Their purpose has not changed since 1966 – to seek out opportunities to raise the expectations of American coffee drinkers by attracting and serving those who truly love the taste of coffee, for whom a cup of coffee could only mean a cup of Peet’s. Get America’s favorite premium coffee without leaving the office. Make your employees feel as if they walked right into one America’s most recognizable coffee shops simply by walking into the breakroom. With classic Starbucks varieties, such as Sumatra, Breakfast Blend, French Roast and Verona all in pre-measured packs, gourmet coffee is just a pot away. Enjoy the rich quality of flavor brewed from Hawaii’s world-renowned coffee bean. Kona coffee beans are produced exclusively from trees of a traditional strain of Typica in Hawaii. Roasted to perfection by Lingle Brothers Coffee, pure Kona beans yield a drink with gentle, lively acidity and high-toned, clean complexity. 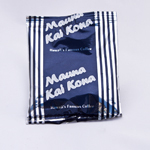 Coffee connoisseurs the world over cherish the distinctive flavor and delectable aroma of Hawaiian coffees. Tradition. Percolating for more than 150 years. Folgers® Coffee, founded in 1850 in San Francisco, has been an iconic American brand that has made great-tasting coffee for more than 150 years. With blends like Classic Roast, Regular and Ultra, Folgers continues to produce superior quality coffee using Mountain Grown® beans ripened to perfection. An American staple since the turn of the century. Get the Yuban flavor you’ve come to know and love delivered directly to your office. Yuban’s Master Roast, Special Delivery and Decaffeinated blends are pre-ground and pre-packaged to provide a delicious pot of coffee every time. Single serving K-Cups deliver a coffee to every palate. Utilizing Keurig Brewing Systems, K-Cups brew premium blends of delicious coffee a cup at a time. Valley Coffee delivers to your office a host of flavors including classics and exotics from Green Mountain, Gloria Jean’s, Coffee People, Tully’s and more.